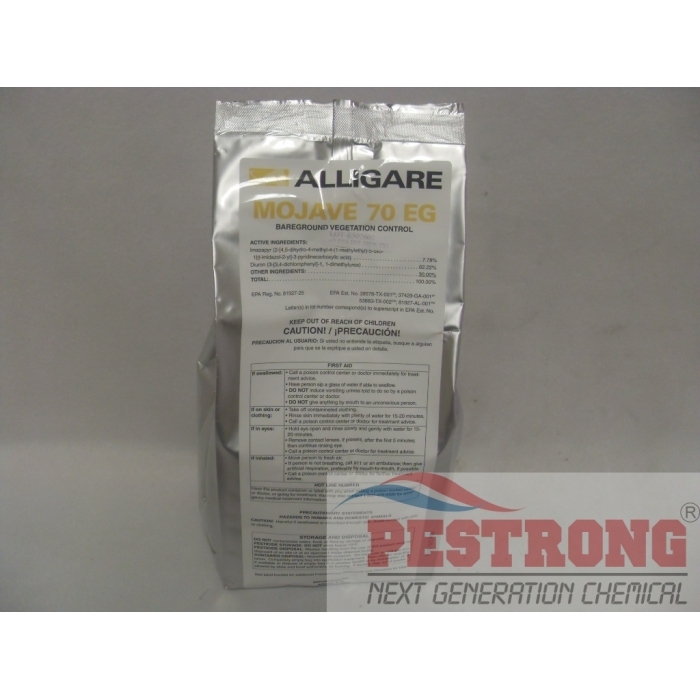 Where to Buy Mojave 70 EG, Mojave 70 EG Herbicide Generic Sahara DG - 5 Lb - $58.95 for Sale with Fast Free Shipping! Mojave 70 EG Herbicide Generic Sahara DG - 5 Lb provides impressive residual control to keep new weeds from emerging all season long. Mojave 70 EG Herbicide Generic Sahara DG - 5 Lb gives professional applicators effective bareground control of 150 species of annual and perennial grasses, broadleaf weeds and vines with just one application in sites such as railroad, highway, right-of-ways, utility sub-stations, petroleum tank farms and non-agricultural fence rows. Just one application provides complete burndown and total bareground control of 150 species of annual and perennial grasses, broadleaf weeds and vines. Mojave 70 EG Herbicide can be applied with conventional sprayers or injection sprayers — without fear of clogging nozzles or injection units. It is quick and easy to mix because the formulation remains in suspension with adequate agitation. It can be incorporated into the soil to a depth 4 to 6 inches using a rototiller or disc. Rainfall or irrigation of 1 inch will also provide uniform incorporation. 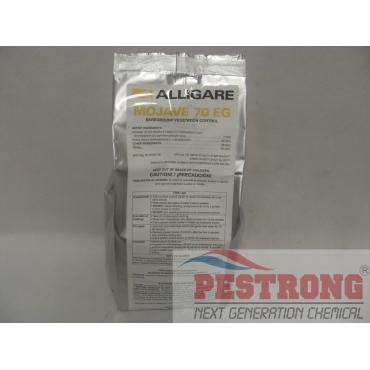 Sahara DG by BASF has been discontinued and replaced with Mojave 70 EG by Alligare. This formula has great residual protection. Kept weeds and and unwanted grass away for an entire season without much trouble. Very satisfied, most definitely will use again. I don't have to say much about this product, this product speaks for itself, so good! I have used this product for several years and it is the best . I use it on fence rows and it keeps them bare for the entire year and in some spots a couple years. does not leach out and highly recommend. We use this product to control weeds at a large industrial site. The price is great. The service and shipping is great. Note: I mix this product with "Atrazine" to increase the residual and it works awesome. Would highly recommend! I have used this sahara dg on my construction job. No other better product is available than this.